The Nintendo Entertainment System (commonly abbreviated as NES) is an 8-bit home video game console that was developed and manufactured by Nintendo. 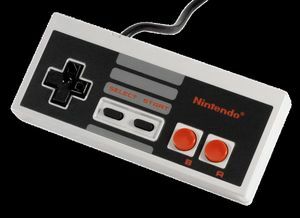 The best-selling gaming console of its time, the NES helped revitalize the US video game industry following the video game crash of 1983. With the NES, Nintendo introduced a now-standard business model of licensing third-party developers, authorizing them to produce and distribute titles for Nintendo's platform. It was initially released in Japan as the Family Computer (also known by the portmanteau abbreviation Famicom) on July 15, 1983, and was later released in North America during 1985, in Europe during 1986, and Australia in 1987. Following a series of arcade game successes in the early 1980s, Nintendo made plans to create a cartridge-based console called the Famicom, which is short for Family Computer. Masayuki Uemura designed the system. Original plans called for an advanced 16-bit system which would function as a full-fledged computer with a keyboard and floppy disk drive, but Nintendo president Hiroshi Yamauchi rejected this and instead decided to go for a cheaper, more conventional cartridge-based game console as he felt that features such as keyboards and disks were intimidating to non-technophiles. A test model was constructed in October 1982 to verify the functionality of the hardware, after which work began on programming tools. Because 65xx CPUs had not been manufactured or sold in Japan up to that time, no cross-development software was available and it had to be produced from scratch. Early Famicom games were written on a system that ran on an NEC PC-8001 computer and LEDs on a grid were used with a digitizer to design graphics as no software design tools for this purpose existed at that time. The console was released on July 15, 1983 as the Family Computer (or Famicom for short) for ¥14,800 alongside three ports of Nintendo's successful arcade games Donkey Kong, Donkey Kong Jr. and Popeye. The Famicom was slow to gather momentum; a bad chip set caused the initial release of the system to crash. Following a product recall and a reissue with a new motherboard, the Famicom’s popularity soared, becoming the best-selling game console in Japan by the end of 1984. Encouraged by this success, Nintendo turned its attention to the North American market, entering into negotiations with Atari to release the Famicom under Atari’s name as the Nintendo Advanced Video Gaming System. The deal was set to be finalized and signed at the Summer Consumer Electronics Show in June 1983. However, Atari discovered at that show that its competitor Coleco was illegally demonstrating its Coleco Adam computer with Nintendo's Donkey Kong game. This violation of Atari's exclusive license with Nintendo to publish the game for its own computer systems delayed the implementation of Nintendo's game console marketing contract with Atari. Atari's CEO Ray Kassar was fired the next month, so the deal went nowhere, and Nintendo decided to market its system on its own. At June 1985's Consumer Electronics Show (CES), Nintendo unveiled the American version of its Famicom, with a new case redesigned by Lance Barr and featuring a 'zero insertion force' cartridge slot. This is the system which would eventually be officially deployed as the Nintendo Entertainment System, or the colloquial 'NES'. Nintendo seeded these first systems to limited American test markets starting in New York City on October 18, 1985, and following up with a full-fledged North American release in February of the following year. The nationwide release was in September 1986. Nintendo released 17 launch titles: 10-Yard Fight, Baseball, Clu Clu Land, Duck Hunt, Excitebike, Golf, Gyromite, Hogan’s Alley, Ice Climber, Kung Fu, Pinball, Soccer, Stack-Up, Tennis, Wild Gunman, Wrecking Crew, and Super Mario Bros. Some varieties of these launch games contained Famicom chips with an adapter inside the cartridge so they would play on North American consoles, which is why the title screen of Gyromite has the Famicom title 'Robot Gyro' and the title screen of Stack-Up has the Famicom title 'Robot Block'. 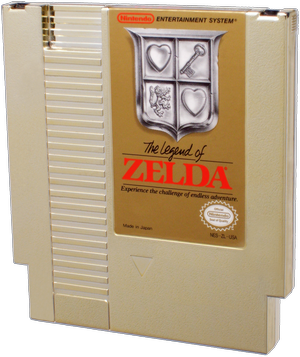 By 1988, industry observers stated that the NES's popularity had grown so quickly that the market for Nintendo cartridges was larger than that for all home computer software. Compute! reported in 1989 that Nintendo had sold seven million NES systems in 1988, almost as many as the number of Commodore 64s sold in its first five years. 'Computer game makers [are] scared stiff', the magazine said, stating that Nintendo's popularity caused most competitors to have poor sales during the previous Christmas and resulted in serious financial problems for some. The NES was released after the 'video game crash' of the early 1980s, when many retailers and adults regarded electronic games as a passing fad, so many believed at first that the NES would soon fade. 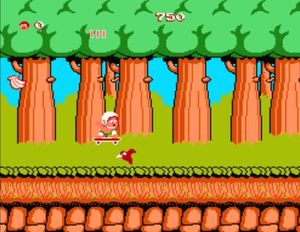 Before the NES/Famicom, Nintendo was known as a moderately successful Japanese toy and playing card manufacturer, but the popularity of the NES/Famicom helped the company grow into an internationally recognized name almost synonymous with video games and set the stage for Japanese dominance of the video game industry. With the NES, Nintendo also changed the relationship between console manufacturers and third-party software developers by restricting developers from publishing and distributing software without licensed approval. This led to higher quality software titles, which helped change the attitude of a public that had grown weary from poorly produced titles for earlier game systems. On August 14, 1995, Nintendo discontinued the Nintendo Entertainment System in both North America and Europe.The Famicom was originally discontinued in September 2003. Nintendo offered repair service for the Famicom in Japan until 2007. Text of this article is almost verbatim copy from www.wikipedia.org. 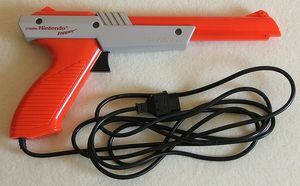 The NES Zapper, a light gun accessory. with the game The Legend of Zelda.